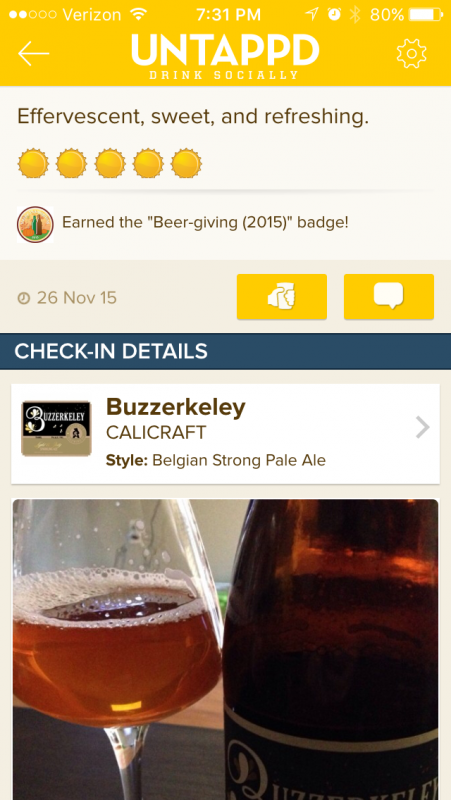 You are here:Home Beer Club Reviews Rare Beer Club Review: Will I Keep My Membership? Quick Summary: Of all the beer clubs I've tried to do reviews for my blog, the Rare Beer Club is probably the only one that I will stay with long term. They deliver high quality, hard to find beers that I would not be able (or want to take the time) to source myself. One reason I like beer clubs is that it sets a limit on what I buy during the month. Specialty releases get expensive at $10-$25+ bottle. The truth is, the more beer you try, the more you realize that you can never really try it all. On top of the cost of having excellent taste in beer, I'm also homebrewer…I really can't drink all this beer by myself! I know that's a pretty awesome problem to have, but herein lies the reason why I prefer the Rare Beer Club over any other beer of the month club: It's the best of the best, in an amount where I still appreciate the beauty of a wonderfully crafted beer. The Rare Beer Club from Monthly Clubs is a monthly curated selection of two brews in 750ml bottles from the US and around the world. There's a lot more to appreciate about this service, so keep reading to see if it's the kind of thing that will appeal to your style of drinking. Quick Opinion: I haven't been disappointed by a beer selection yet, and will continue to be a member indefinitely. I've only bee a member for three months so far, but it's been a pretty exciting two months! My first delivery was a bottle of Buzzerkeley from Calicraft Brewing and something else I can't remember. The next months were and a bottle of Zona Cesarini (IPA from Italy), Chernyy Medved (Russian Imperial Stout with cherries), and Brouwerij De Ranke's Père Noël. The Père Noël was probably my favorite of the bunch so far because I'm on a big Belgian beer kick lately. Also, it's an extremely rare beer that only has a certain amount of cases shipped to the US each year, so I felt pretty special drinking it. lol. Yeah, maybe there was some placebo there, but who cares. It's fun! You can actually view past selections all the way back to 1996, which is pretty crazy. They also allow you to add more beer to your order if anything is left over from previous months. 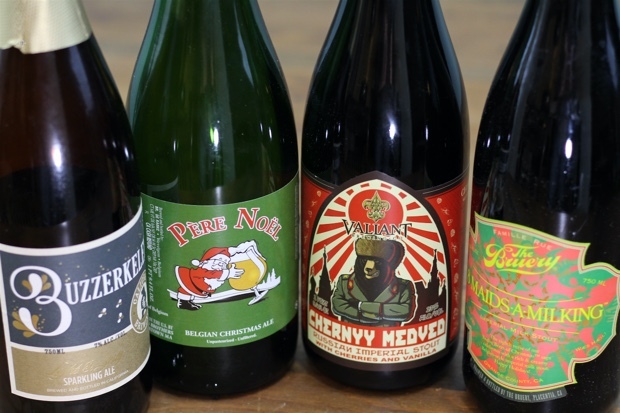 One really cool thing they did in December was send out an email with a special offer for rare winter beers. There were four unique selections you could add to your order. Hey – it's the holidays, people are drinking and celebrating, right? I didn't order them because I had already spend enough money on booze, but I really, really wanted to. So far I haven't had any real issues to deal with, but I did have one interaction via email. My first beer shipment was not the same two that were listed on the website. I emailed them on Oct 31, and received a response from them on November 3rd explaining that the first shipment is a mix of previous selections they have on hand. I could order the two from the current month on the next shipment if I wanted. Why they do this, I don't know, but I got a quick, polite response to my question. All other beers have been delivered by UPS, on time, and I'm able to manage the shipments through the UPS website. They recommend shipping to a business address to guarantee delivery (if you're at work), but it's easy enough to send it to a UPS holding station or to a neighbor's/family member's address by changing things online. Luckily, I work from home so I'm able to receive the packages myself. I LOVE the beer history and brewery notes included with each package. Part of enjoying a beer is really understand what it's supposed to be. Even if your palate is not very refined (or maybe expecially if it's not refined), reading notes can help you to understand what you should be tasting and looking for in the beer. Plus, it's fun to know the history of the beer and the brewery. Is it a special release? Is it a unique twist on a standard brew they make? Was it real cherries or cherry puree they used? What was the yeast blend, or how did they achieve a certain flavor profile? These are all super interesting questions to look into, and for me, as a homebrewer, it also gives me ideas of what to try next in my own recipes. Last thing – as a website owner, I think their site could use a little updating. It's pretty dated. It's not the worst one for the beer clubs I've reviewed, for sure, but I feel their incredible service could be represented a bit better with a better user experience. Also, they replied to my email in bright blue text with typewriter font, which reminds me of something my grandfather would do. About Ordering: To order a “closed end” membership, it's a minimum of two months. You can do just one month, but you have to sign up for the open ended membership (like I have). That means you're billed monthly instead of billed in advance. I just can't try all the beers in the world, so the rare beer club is a good way to try the best of the best without getting overwhelmed with the massive selection available online. Plus, I don't want to spend a bunch of time researching what's the best of the best, and then time on top of that trying to acquire these bottles. RBC allows me to get a hold of some rare selections without me spending a bunch of time to get them. They're delivered automatically, and I just enjoy the surprise! It also limits my spending on booze. Every time I try to get a couple bottles from a place like Craft Beer Kings or Tavour, I end up ordering a case of 12. Sometimes, less is more! Who Is The Rare Beer Club Good For? If you don't want to obsess about finding good beer, and just want to kick back and enjoy a few professionally curated craft beer selections each month then this is a great club for you. If you often share great beer with friends and want to show off a few items that they can't find at the local bottle shop, again, RBC is perfect. RBC is also great for a craft beer enthusiast who feels like they are running out of things to try locally. For example, myself! My local Bevmo ran out of interesting beer for me to try within the first six months of moving here. Sure, there are things I haven't tried yet, but they don't excite me. Trying them is almost like going through the motions. Anyway, if you are “stuck”, then the Rare Beer Club can unstick you. For those that want more control over the beers they sample, this might not be the club for you. OMG YES. As mentioned above, once I get through doing all these reviews and ratings of the clubs, this is the only one I'm going to keep. Quality over quantity baby! If you'd like something where you have a bit more control over which beers get delivered each month, check out my review of Tavour. It's a very different system, but still has a curation element to it. They email you every day with an option to put a beer in your “box” then ship you the box at the end of the month. Want To Join The Rare Beer Club? Sign Up Here and get your first order shipped to your home! You can order between 1-12 months, or have an open ended shipment like me. 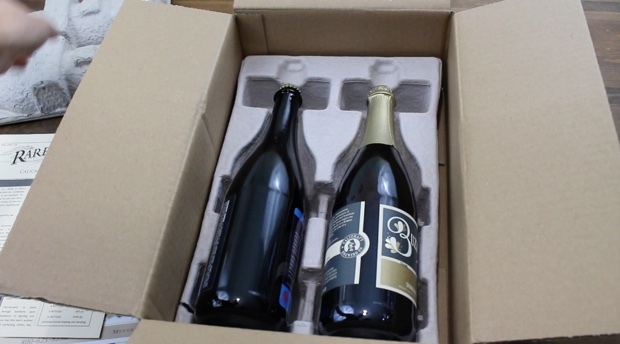 There's a choice of 2 bottles, 4 bottles, or 6 bottles per shipment (always from two breweries). By purchasing through my link you also help support my blog since I receive a commission for each sale. Thanks for the advice on the rare beer club! I’ve belonged to many beer clubs in the past but never this one. I think it’s an awesome and convenient way to experience many different beers without ever leaving your home. I love the fact that the beer comes right to your front door. I’m passionate about beer drinking and really appreciate the insight you provide on this page. Thanks a lot for the help and keep up the great writing!! Ah, another person passionate about drinking! LOL. If you’ve been a part of beer clubs in the past, then you know it can be very convenient to have brews delivered to your door. Too convenient almost! This particular club however is great because you get just a little bit of the best, and then can buy your daily drinkers in a traditional fashion. It would be great to have any beer, all the time, but it does get pricey after a while. After all these beer club testings for reviews on my website, my budget for alcohol went way up! Hi! Very interesting review and much tasty information about beer. I like beer very much, but when it comes to me, I am not consuming any alcoholic beverages anymore. But I like beer and found that there are some, not found many, non-alcoholic beers out there. Do you ever try alco-free beer and if Yes, what is your favorite, or even Rare non-alcoholic beer. Part of a beers flavors and aromas are the alcohol, so I can’t say that non-alcoholic beer will ever gain as much traction as traditional beers. If you’re used to drinking it, I suppose you could get used to the taste, same as some people enjoy drinking bud light or natty ice. I don’t think there are any real rare non-alcoholic beers because they aren’t really in demand, or exported in the same way as things like Belgian specialty beers, one-off brews, barrel aged selections, sours, or other rarities that sometimes take years to produce. Hi! I’m really enjoying read your blog, you people like us that love beer is perfect! Actually, I didn’t know about Rare Beer Club but now I know and I have an objective and real perspective of what it is, just for curious, what are you top 5 of beer? I know it can be a very tough one but I just want to know if in your favorites are beers that I never tasted. Thanks for share. Hmmm, it’s really hard to pick my top 5 beers because there are so many good ones. In general, I really like sour beers and brett fermented beers. But the one beer that I absolutely love right now is Heretic’s Evil Twin! Wow hey Nathaniell what a nice service review! I personally don’t love beer so much but this service really nice and good! Although there is no choice for us to choose the beer but I absolutely believe that the beer should be high quality as they want you to keep subscribing the membership. But the question is, will I get unknown breweries every month without actually doing any choice and just receiving my beer while doing something else? That’s a great thing to ask, and something I forgot to mention in the review. Because the beer is curated, they are careful to not send any repeats! There may be a few breweries that are revisited over the years, but the beers themselves are quite diverse. They’ve delivered everything from Belgian strong ales, to Russian imperial stouts, to saisons, IPA’s from Italy, and more. Too many to list! That’s one of the things I really appreciate about this club versus some of the other “standard” beer clubs. The types of beers are really unique! Not just pale ales, red ales, stouts, and blondes lol. I’m not a big drinker these days but, I still love good beer. In the past, I’ve had the pleasure of enjoying beer from several Countries. Until just now, I’ve never heard of a beer club. What a concept! Beats driving all the way to Mexico for good beer. lol. Bookmarking this site for future reference. Thanks for the information on Rare Beer Club! I love to try different types of beer from around the world, so this is right up my alley! It does seem a bit expensive, but like you say it cuts down on your beer consumption, and lets you try beers you may not otherwise got to try. I will definitely have to take a further look at possibly joining one of these beer clubs in the future. If you like beers from around the world, this is a VERY cool club to join. Personally, I like it because it has not only world-beers, but INTERESTING world beers! Sometimes it seems like you can have a stout from your home country or a stout from somewhere else and it’s all quite similar. But once you get into the strange Belgian brews or an Italian version of an IPA brewed with local hops, then you really start drinking the fun stuff. 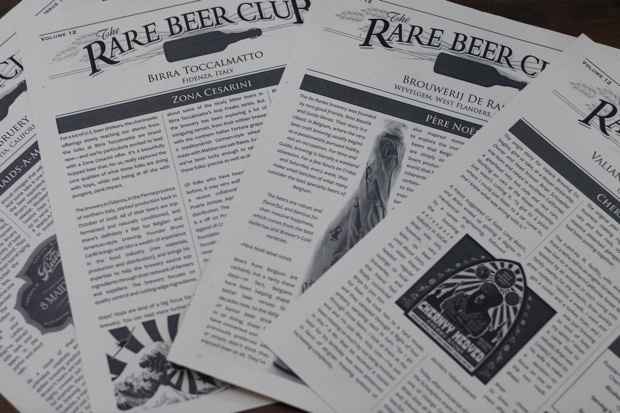 Great article on Rare Beer Club. Never knew there were beer clubs, let alone a rare beer club. Sounds like an interesting venture. I wouldn’t mind trying some rare IPAs. True, you probably won’t try every rare beer, you’ll at least be able to try many of them. Are there any particular rare beers you would like to try? I don’t have any specific names I’d like to try as far as rare beers go, but I have my eye on some rum barrel aged Monster Parks from Modern Times. I guess I’d like to try that $1,000 beer from Sam Adams as well. But mostly I’m into very unique style beers like beers using unique hops, or different flavor combinations. I had a coconut curry beer once from Lips of Faith that was incredible! Thanks for introducing me to the Rare Beer Club. This is an approach to finding unique and different beers to try that I was unaware of. I’m definitely a big fan of great beer. I mean seriously, is there anything better than an ice cold brew after a round of golf? I also see this as a source of fun gifts for several of my friends who also enjoy a great beer now and then. It sounds like I can cancel my membership at any time if I don’t care for it, so I really don’t think I have anything to lose by trying. Thanks again for the great idea! These are probably not beers you’d drink after a round of golf because they’re usually pretty strong, and not something you want to gulp down. But after you pound a few pale ales and work your way into the evening, they’ll do great with dinner, or even as an after dinner dessert. It’s Friday where I am right now…I think I’ll crack one of these open tonight. Thanks for the comment Linda! Hey, great post man! I had a good time reading your article, and actually as I was reading it, I thought about a friend of mine that can’t stand but drink beer all the time! He just loves beer, and I think that he will thank me later for reffering him to your review. I myself not a big fan of beers since I try to keep it healthy and watch my nutrition – But from time to time I do enjoy drinking a good beer. Wow, reading this review and looking at some of those pictures made me wish I wasn’t strictly gluten-free at tihs point haha. I do love me some good quality beer, and have seen then Cherni Medved a local shop here in Seattle that carries all kinds of great quality beers. Funny thing is I’m fairly internet savvy but had no idea there was such things as “beer clubs” that send you beer monthly. I think what I wouldn’t like (even if I could drink all beers) is that you don’t get to select and that yeah only 2 breweries a month…plus 25 dollars a bottle? That’s a bit steep, but I understand it’s a service and if you’re not an alcoholic it’s a rather good service. For me, once I start drinking, a couple bottles will be gone in one night…I’m glad you enjoy this service though, they do look like high quality brews. Hi there this is a really well written review for the rare beer club. It must be easy to write a review if you genuinely love the product hey? Is there an option with this club to order more than 2 beers? Also, do you know if they ship outside the US? Actually yes! You can order 4 or 6 bottles instead of just two, and the price is reduced for each additional set of two bottles. Plus, they always have bonus offers and specials they run where they do exclusive promotions with different breweries. They had one at Christmas this year and another time though I can’t remember for what reason. Beer! Okay now we’re talking! I have to say I’ve been lucky enough to tour all over the world with my ‘day job’ and I get to drink a lot of beer….developing a real love for good American IPA’s (recommendations?) but I still think that you have to go a long way to beat the Belgians! Yeah, I love Belgian beers. I was in Belgium before, but at the time didn’t really appreciate the awesomeness and history of their beer culture. Ugh. I gotta go back! For American IPA, the west coast is definitely the best place to start. Green Flash has the original west coast IPA, but even that’s a bit tame by today’s standards for hoppy beers. I like Heretic’s Evil Twin but that’s a red IPA. Lagunita’s IPA is good, but now that they’ve sold 1/2 the company to Heineken, I try not to drink it too often. I also like my local brewery’s IPA called Hops of Wrath (Dust Bowl). Soon as I read this, I started feeling that thirst lol! You’re really into beer, from the way you articulate yourself haha! Seems like they have some quality beer here, huh, I would love to have such an experience one time. This is a good piece, my guy. These guys have been around for a long time so I’m sure they’ll still be here by the time you’re ready to sign up! This seems like a very cool idea. I’ve only ever been a part of beer clubs at the local pub where they bring in new stuff every month. This club give the consumer the option to choose rather than the establishment. The History card is also a cool idea. It’s always great to know where it comes from or how its made. Always makes you appreciate it more. They definitely have a cool service going, and I’m surprised there aren’t more like this. There are craft beer clubs for sure (reviews coming soon!) but none that specialize in rare beers. Most are bottle exchanges that you do with other private parties, which can be risky with shipping and trusting other people to properly ship beer. What an interesting review on the Rare Beer Club and I like the word ‘rare’, meaning that they will only deliver those precious and special beer. I am not a good beer drinker and I am staying in Singapore. Unlike western countries, I didn’t come across any beer club here. Probably the drinking culture here is not as popular like western countries do. But I do interested to know if Rare Beer Club caters for beer delivery within Asian countries. I believe this can be a good gift for my love during our special occasion celebration. I am really tempted to join this club, Nathaniell. My other half and I love going to breweries and doing the tastings. We have a group of friends where we all do tastings. Each couple brings a couple unique beers and then we have tastings. It is a lot of fun. We also are all on untapped. Anyway, this club looks interesting. How I wished this information was made available to me those days I used to buzz, but none the less the work you are developing on this site is interesting and will enable people to be aware of good brands and mind you there is more beer takers than non beer takers in the world and so if you continue developing this site you will be attract more visitors to you site. This is an excellent site, nice reviews of the beers and what to try – I wonder if any are available in the uk? And does CAMRA have any links out your way? Even though I am not a beer drinker this does sound like an interesting beer drinkers club to join, kind of cool to get new kinds of beer to try through this club. How long have you been a member of this beer club, are you a regular beer drinker? How did you ever find this beer club, I did not know they even existed great topic again Nathaniell. Great Review! I think the idea of a beer club that delivers rare beers is very unique and awesome. Do you know if there is something similar offered in Australia? I would definitely consider joining if there is. I love trying new beers. Years ago I used to think about starting home brewing myself, but never had the time to commit to it. Maybe one day. Cheers! Hey, thanks for introducing me to Rare Beer Club. I initially feel in love with drinking quality beer, when I visited Germany. Germany has so many freaking different great beers, everywhere you go, it’s hard to find a bad one. The people we stayed with treated us to their stash of what they called “Special Christmas Beer”. It was amazing. Baggage was quite heavy returning home. Have you found any great beers traveling? What were they? I love that I don’t have to travel overseas now, just to get unique beers. And variety is the spice of life.Thanks! Oh man, special christmas beer sounds awesome. I wonder if it was a spiced ale? But germans don’t usually have spiced stuff, so maybe it was some kind of doppelbock or strong dark german lager. Unfortunately, when I was traveling in Europe I wasn’t into “good” beer so just drank whatever. I was in Prague though, so I had tons of great pilsner! That’s all they have though. I did have a legit German hef in Germany, and a delerium tremens in Belgium but that’s about it. I really want to go back to Belgium and do a beer tour! Thanks for giving me this idea though, I’ll definitely be looking into it. Hi Nate! I really enjoyed your post about the rare beer club. I left a comment with a question on your site. Love the photos, review, pros and cons. You cover it all and really give a clear picture of your experience with the service. Will be interested if this one remains your favorite. Nice work! I enjoyed this review of the rare beer club and think it is something I would eventually like to try. (Not sure it is in my budget at the moment) My question is, what if you really like something they send and want to get it again. Do they hold an inventory of everything, or do they give you information about where to order more, or are you just out of luck? Love your site! They keep stuff from before and you can order extra each month if they have more….until they run out! A lot of them are stronger beers though, so they keep for a long time, so don’t hesitate to order some from a few months back. Very interesting to belong to a rare beer club in order to enjoy the real ale; here in Miami is very difficult to get a homemade beer or like it, that’s why this plan sounds fantastic. Do you pay extra in the previous elections? if so, how much extra you pay?